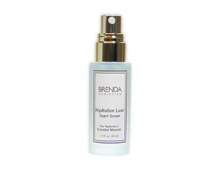 Brenda Christian’s Daily C Serum with Ferulic Acid is a great anti-aging serum that helps build collagen and fight off free radicals. It helps slow the aging process of the skin! Vitamin C is important to human health for a variety of reasons, from boosting the immune system to acting as an antioxidant. It has many benefits for the skin, too. By working as an antioxidant, Vitamin C helps increase collagen production and combats the effects of free-radicals that result from pollutants and overexposure to the sun. It can also help slow the aging process of skin. Daily C Serum with Ferulic Acid and Tocopherol is a great anti-aging serum that helps build collagen and fight off free radicals. Daily C Serum with Ferulic Acid and Tocopherol is a water soluble product which makes it easier to absorb in the skin. The ferulic acid comes from a cinnamon base that helps brighten the skin, making it a great post peel treatment. In addition, Daily C Serum with Ferulic Acid and Tocopherol uses emblica extract a high antioxidant fruit that helps fight off free radicals and brighten the skin. Brenda Christian’s Daily C Serum with Ferulic Acid and Tocopherol also uses Vitamin E tocotreniols in combination with Vitamin C to digress ROS (Reaction Oxidation Stress) cycle from aging the skin. Each of these key elements will improve the skins elasticity, clarity, and texture. Apply 2-4 drops to face and neck area. Afterwards use Hydration Luxe Super Serum to add hydration. Add moisturizer and sunscreen for added effect.